Now everyone applies their makeup different and everyone watches or reads different ways of applying makeup. Seeing as though I have been asked a few times recently on how I apply my own makeup and if I have any tips I can give out.. So I thought I would share 5 of my biggest makeup top tips I share with people on shoots, weddings etc..
1. SPF. I always tell people to use an spf on their face, neck and hands when you are out and about. You can apply it under neath your makeup. SPF in your moisturiser is like your wearing sun screen, to protect you from the sun. You only need a little bit as if you use to much you can become a little oily on your face. I personally like the Malibu SPF Moisturiser. 2. Brows. 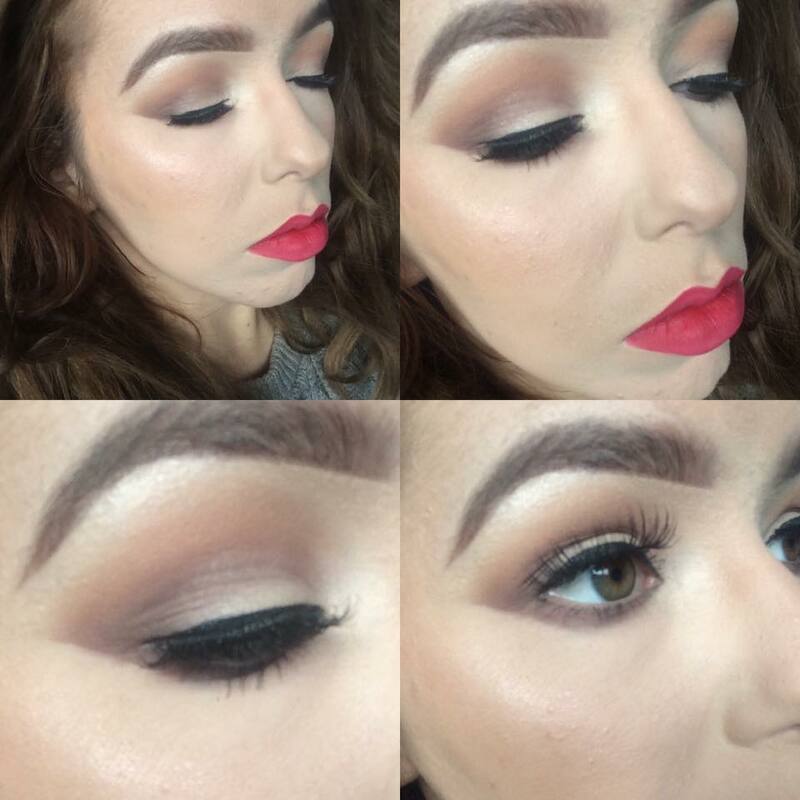 Thick fluffy brows are one of my best features on my face. I would suggest using a clear brow gel to brush those rouge hairs into place. I then use an angled eye brush and a light brown eye shadow to create depth and thickness to the brows, Its the best way to create nice brows. 3. Lip Balm. When applying makeup, I always before I start apply lip balm to my lips. Lips are the last thing in the makeup process, so why not keep them soft and moisturised during the process. I am not a fan of cracked lips, so lip balm has a permanent home in my handbag. 4. Makeup Setting Spray. You don't have any setting spray left, I always use a little bit of hairspray on the makeup, Just a little mist. Hairspray is used 30cm away from the hair, but if i need to use it on my makeup I hold it even further away just so I don't get it in my face. 5. Eyeliner. If I am unsure on eyeliner. I always start with liquid liner to create 3 small dots ready to join into a slick feline flick. After I have done this and I am happy with the shape, I then go over it with a kohl pencil. That helps seal the liquid liner in and stay put all day. That way you can also smudge it out a little to create a smoke liner eye look. Which is very chic for a simple day look for work or school. I hope these top tips have helped you. I am uploading a skincare top tips post tomorrow. So hopefully this may help you.